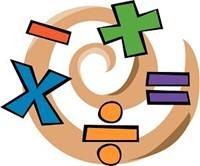 I happen to fall on a web page that had this mathematical formula to describe aptitude of an individual in social media. When social media is all about relationships, it seemed funny to read relationships aptitude described as a mathematical formulas. All I could understand out of this formula is, if you or your organization doesn’t have anything of value to offer, social media will not help. It may just work against you. Even if you offer something of value, if you cannot build meaningful relationships with the people you are serving, social media will not help. Even if you offer something of value AND you can build meaningful relationships with the people you are serving. If you cannot engage the people in meaningful conversations that enrich your relationship, social media WILL NOT HELP. Why is this formula Incomplete? I believe, before anything else, it is insane to even try formulating social media aptitude mathematically; as it will end up with some debatable imperfections, like this one. Can we assign numbers to each variable and multiply them to get an aptitude score? Absolutely not! It is hard to assign values to value of a product / service, the relational and conversational competencies. And no theory has ever proved whether these variables are directly proportional to x power of variables. However, the three basic variables on which one’s social aptitude can be judged are rightly correct. I couldn’t think of any other variable that are not included in these three. So, what is your take – Do you think Social Media Aptitude can be purely gauged using a formula ? BRICS Summit: Emerging economies sideline US Dollar! I think you have correctly extracted the essence of any value the formula may have. The three factors are all very important in social media relationships, but they are by nature vague and unquantifiable. They are attributes to be sought in general. Although when I taught Social Psychology, we considered it a “science,” we have a long way to go before (if ever) the practical application is anything but an art. Social success begins with the values and attitudes of the person involved. Social behavior stems from there. I infer from your post that you understand that it is not a matter of learning WHAT to do. It is more about the authentic attitude and intention of the doer. Though we can not give numbers to the formula, conceptually what the author said is correct. The same applies to evrything in life. Lets take a business : Lets say you have a intermediate product which goes into the production of a major product. (Lets say some chips used in TV manufacturing). U have a product of intrinsic value. Now just having a chip will not give your company business. You have to approach the TV manufactureres (Relational competence). Even if you approach TV manufacturer, you can not expect to gain business. Theoritically a new political party comes into inception with a vison of social justice. (Its another issue that our parties dont go by principles so lets talk theoritically) The success of the party depends on the ideals for which they stand, its not enough for success. You need to approach people ( your end users). Still it is not enough. You need to campaign (conversational competence) And your success depends on how good you are in comparision with other parties. Though we can not quantify sucess by giving numbers, the concept is same. Have some stuff, reach out to the end users, explain to them. Suppose our national average life expectancy is 56 years. This 56 years is not a law that says people WILL die at the age of 56. It says in general people live 56 years. Its an average age of all the living people. If some one tries to give farmula and say the more your age nearing to 56, the chances of your dieing is more and if they say as you are 55, you only live one more year, it will not work. We just take the essence of the concept and move on. Now so many people might be having the chips, they may be approaching TV manufacturers, and marketing. Your business volume depends on how good your product is, how good you approach all TV manufacturers, how good is your marketing. Suppose our national average life expectancy is 56 years. This 56 years is not a law that says people die at the age of 56. It says in general people live 56 years. Its an average age of all the living people. If some one tries to give farmula and say the more your age nearing to 56, the chances of your dieing is more and if they say as you are 55, you only live one more year, it will not work.